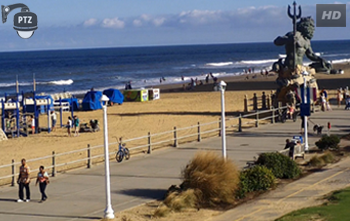 Searching for a boardwalk hotel in Virginia Beach? 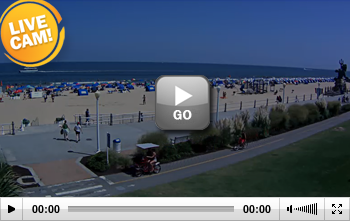 Here's a list of oceanfront hotels directly on boardwalk with stunning views of the beach. 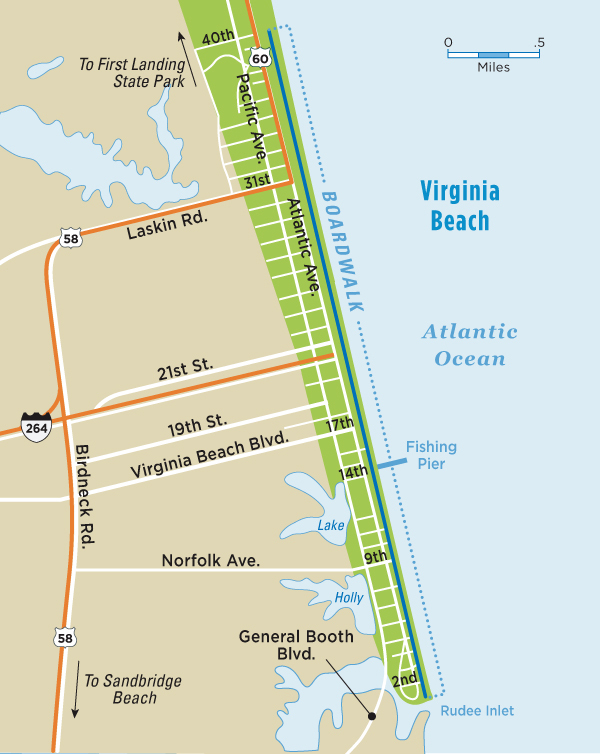 The 3 mile long Virginia Beach Boardwalk spans 28-feet and features a separate bike path for rollerblading, biking or surrey rentals. 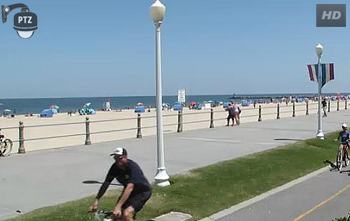 Boardwalk attractions include sidewalk entertainers, amusements, free concerts, fishing pier, and a variety of boardwalk restaurants offering outdoor seating. 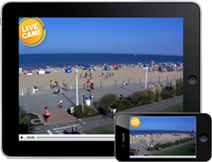 Entertainment is offered nightly during the summer months and four oceanfront stages at 7th, 17th, and 24th and 31st Streets provide live musical acts. All rights reserved. Virginia Beach Map illustrations on this website are copyrighted and may not be used or reproduced without permission. Request to use this map.